Would you learn Wu Shu from this man? This has been a page about Wu Shu. Heck, China isn’t alone. Seems like every government wants to be the only one. If we’re not careful the US gov is already starting the trend. I am also quite fond of this one (partially stolen from Alan Moore): People shouldn’t be afraid of their governments. Governments should be afraid of their people. When the government is afraid of its people, then you have liberty. Thanks. Who is Alan Moore? There was an Alan Moore who wrote Watchmen. Don’t know of a martial arts Alan Moore other than him. This article over-simplifies what happened immensely! China is a HUGE country, and much of it (even now) had poor access. Many rural areas saw very little of the cultural revolution, and life went on pretty much untouched. Also, many red guards were martial artists themselves, and took advantage of the chaos of the times to get into as many fights as they could, developing and improving their martial arts greatly. 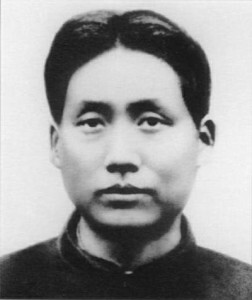 In fact Xinyi Liuhe Quan thrived in Shanghai during the cultural revolution, with most red guards practicing it.